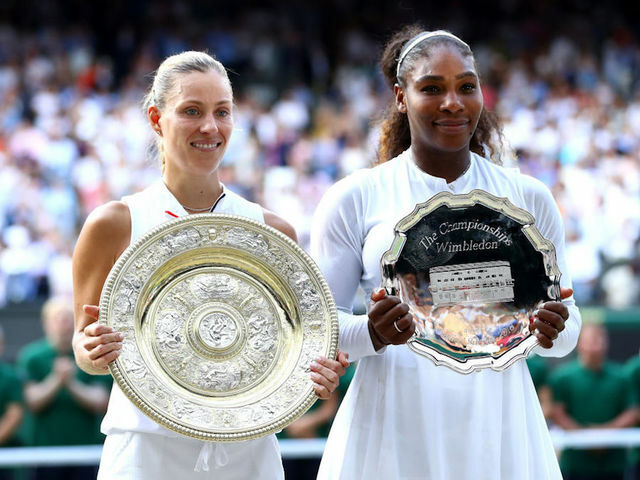 London -Angelique Kerber became the first German woman to win Wimbledon for 22 years as the 11th seed shattered Serena Williams' bid for Grand Slam history with a shock 6-3, 6-3 victory in Saturday's final. "I knew I had to play my best tennis against a champion like Serena," Kerber said. "It was my second chance to play in the final. I think I'm the next one after Steffi who won. That's amazing."